Motorola will introduce the G7 and G7 Plus smartphone in the 2019 Moto G7 series - Mobile-Centers: laptop reviews,smart phone reviews,camera review,latest technology news. Motorola will only include G7 and G7 Plus smartphones in its Moto G7 series next year, G7 Play will not be available in this upcoming series. While the Moto G6, Moto G6 Play and Moto G6 Plus three fonts were launched in the Moto G6 series. 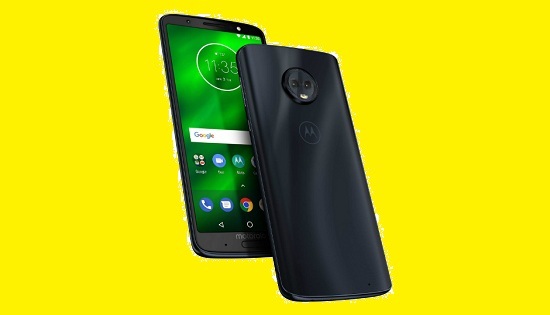 In April this year, Motorola launched its Moto G6 series smartphones Moto G6, Moto G6 Play and Moto G6 Plus in Brazil, out of which two smartphones Moto G6 and Moto G6 Play were launched by the company in June and Moto G6 Plus has been launched in India last week. Now a new report has surfaced online, claiming that Lenovo's official Motorola will present the Moto G7 series next year. According to My Smar tPrice's report, two upcoming fonts of Motorola's forthcoming G7 series Moto G7 and Moto G7 Plus have been detected. It has also been reported from the report that in 2019, the Moto G7 and Moto G7 Plus will be launched next year, but this time the Moto G7 Play smartphone will not be included in the series. Motorola has long been working on the G7 line-up. Last month Moto's two new smartphones were seen online. According to the XDA Developers report, one of these smartphones was seen with the Water drop-style nine (similar to Oppo F9 Pro) that could be the upcoming Moto G7. Graphic Designer Waqar Khan recently shared some Renders through these leaked photos, which gives an idea of ​​what the Moto G7 will look like. Minimal bezels can be seen on the edges of the Moto G7 in the renders. At the top of the display there is a watermark no where in which the selfie camera will be given place, on which the earpiece will be present. Talk about the back of the device, then the Horizontally Surround Rear Panal Glass is made of glass. Circular modes are also available on the back where dual-camera system and two-tone LED flash will be replaced. Motorola's Signature Betting Logo is present under the circular module, which can also work as a fingerprint sensor.